Back in September someone in the group pointed out that we might have another chance to put together the tour as Ottobre was celebrating its 15th birthday this month. No excuses now and here we go! For me Ottobre is all about knits! Though the magazine always has a couple of really nice patterns for woven fabrics, I think their knit patterns are the ones that catch my eye. So today I have a couple of knit dresses to share with you. PATTERN: Flycatcher from Ottobre 3/2014 (summer edition). I’ve been willing to sew this dress/tunic from the moment I saw in on the mag. It is such a nice and special design! I was a bit afraid that it might be too difficult to sew but it was actually quite easy and fast. My only issue was finishing the neckline properly… As you can see my neckline is a little bit wavy but that’s totally my fault as the pattern asked for rib knit neckband and I have used the main fabric to make it instead. FABRIC: I think this fabric is an interlock double knit pique but I am not sure… I got it at my local store – Feira dos Tecidos – and I think it was the first piece of knit I have ever bough! It has an interesting texture and I love the color. This interlock was nice to sew - except for that neckband of course… - and I it has the perfect drape for this pattern. Now for the fun part: the giveaway! Yeah! 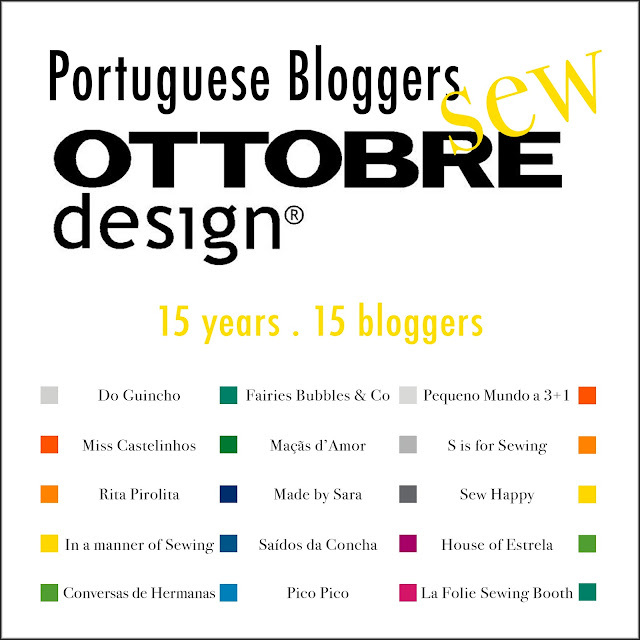 Ottobre was incredible nice to sponsor a huge giveaway to delight our readers. Use the rafflecopter below for a chance to win five one year subscriptions for kid+women’s issues and one 50 euros fabric gift card at Ottobre etsy shop. But that’s not all! You can also win one 30 euros fabric gift card at Maças d’Amor, a wonderful Portuguese online fabric shop, curtesy of all tour participants. Maria João . 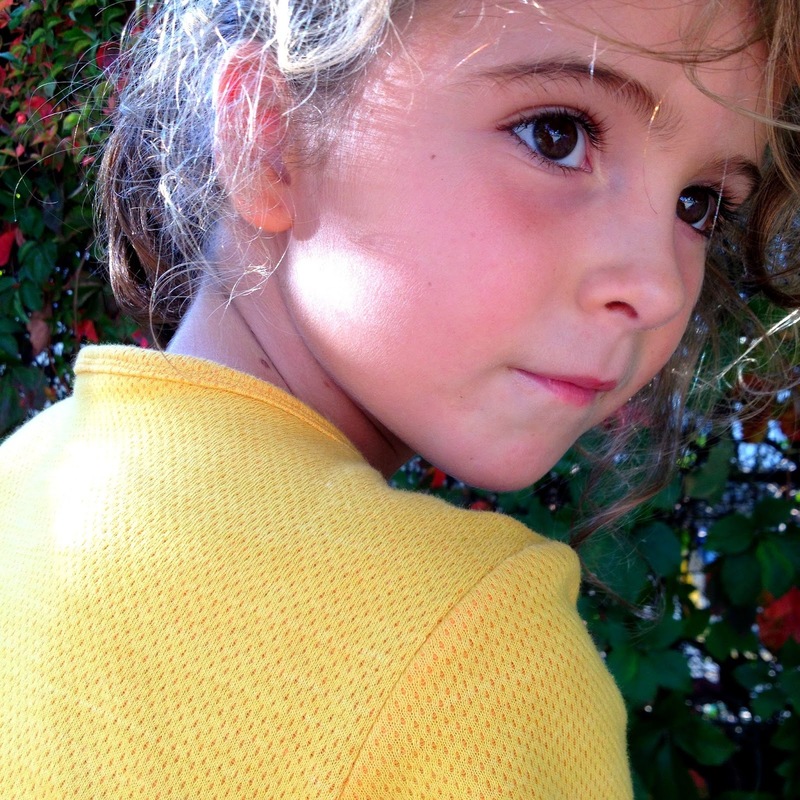 Fairies, Bubbles & Co.
Beautiful dresses! I want the yellow one for myself! Loved it! Beautiful clothes. Ottobre patterns are so fun. Those dresses are beautiful. I have had my eye on the flycatcher dress too. Love it in yellow. These are both beautiful. I like that false overlap on the dress bodice, and the tunic looks a really interesting design. And what an awesome giveaway!! Love the dresses and the action shot photos are fab! Love both but must say that the tunic's fabric looks amazing. Love love the leaves print dress! Amazing colors! Love what you made! 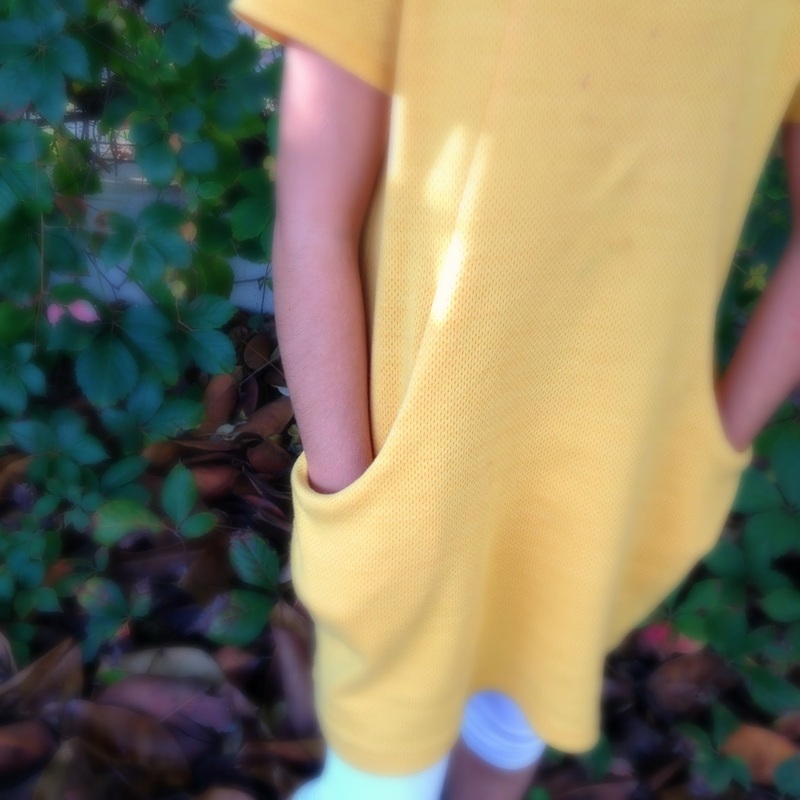 The yellow tunic looks so comfy, I want one for myself. What an awesome awesome giveaway! Thank you for organiazing it! oooowww exciting. Maybe i have a chance. I always love ottobre for their patterns (but not so much for their descriptions, those are not as great as the indie designer patterns). They're wondeful Marta! LOVE this! Both dresses are great but the yellow one is particularly fabulous. Love that fabric and colour. And entry to the giveaway is a must. Would be amazing to win a years subscription. I love both dresses with their lovely autumn colors! Well done. Estão as duas tão giras e com ar tão confortável. Love the yellow dress so much! I love both dresses -- amazing!! 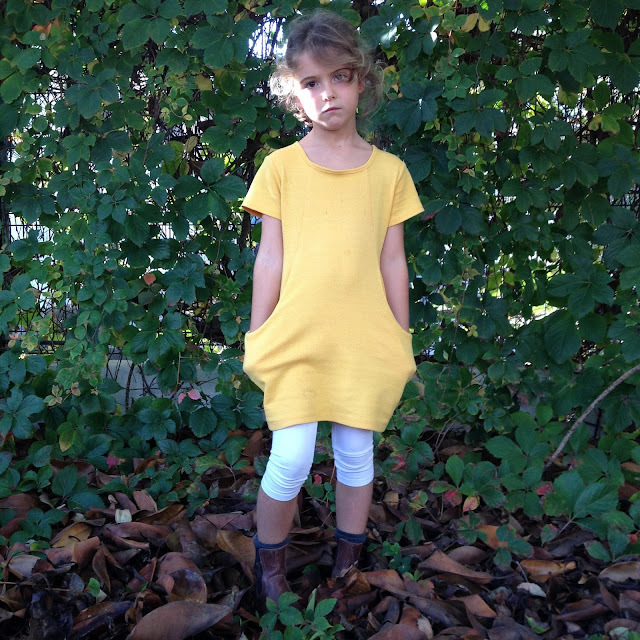 Especially that one in the Birch Organics knit. The perfect summer dress! Oh wait, is it fall? Anyway, it is the perfect all-seasons dress. Love it! Adorei os vestidos. também tenho de experimentar um dia costurar com malhas. what a terrific idea for a blog tour! 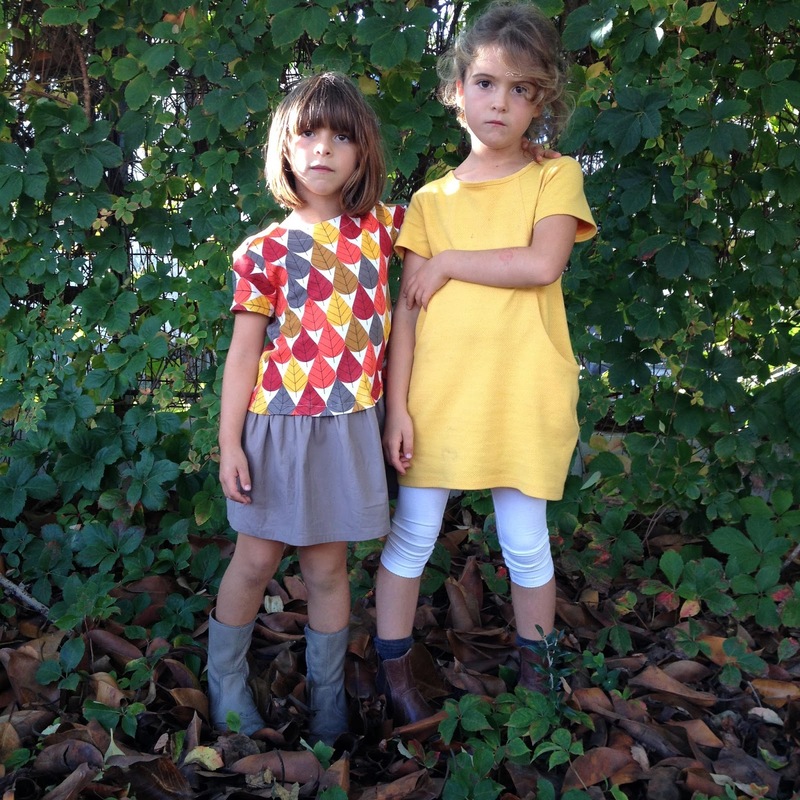 I love Ottobre magazines as well, and I think your girls will love the outfits you've made! The yellow is so cool! Os dois vestidos estão muito giros, mas o meu preferido é o primeiro. As cores do tecido da parte de cima é mesmo muito giro e gosto muito da combinação com a "saia" em cinza. Love both dresses. The leaves. Hach, big fall fan girl here! Gosh, I love these outfits soooo much! Both are perfection and I could totally spot that faux hem on the first dress. Great great detail!! Adoro a ideia! Para a próxima também quero participar :) hehe Parabéns!! That yellow dress is perfect... I want to make it. I loved also that leaves print knit. Where did you get it? Que grande começo Marta. Já tinha lido o post mas não tinha tido oportunidade de comentar. Gosto de ambos mas o amarelo é o meu preferido, pela cor e pelo modelo que escolheste. E depois, adorei o ar da Teresa...ahahaha... acho que fotos naturais fican bem giras tb, mostram a peça em acção. Lindos vestidos! Perfeitos, os dois. Gosto particularmente do amarelo (pensado em mim...!). I've never had anyone small enough to sew from Ottobre before. Now I do! I woukd2 LOVE to win this!